be one with the water. strengthening and toning every muscle in your body. It focuses on creating core strength and stability as you float on top of the water. Come walk on water with our experienced SUP guides. Learn the basic paddle techniques as we explore the beautiful calm waterways of Broad Creek. 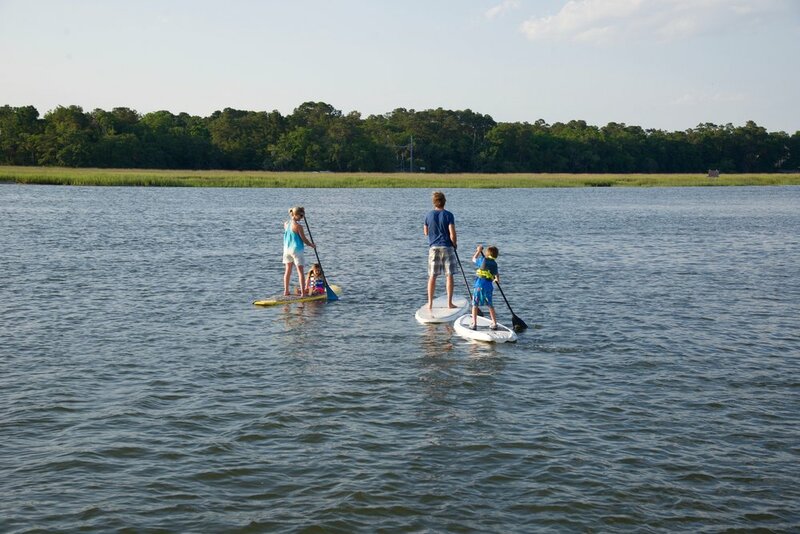 Navigate through the serene low country marsh-ways as you encounter endless species of indigenous wildlife, including our Atlantic Bottlenose dolphin! Whether you are a beginner or advanced paddler, this tour is you! 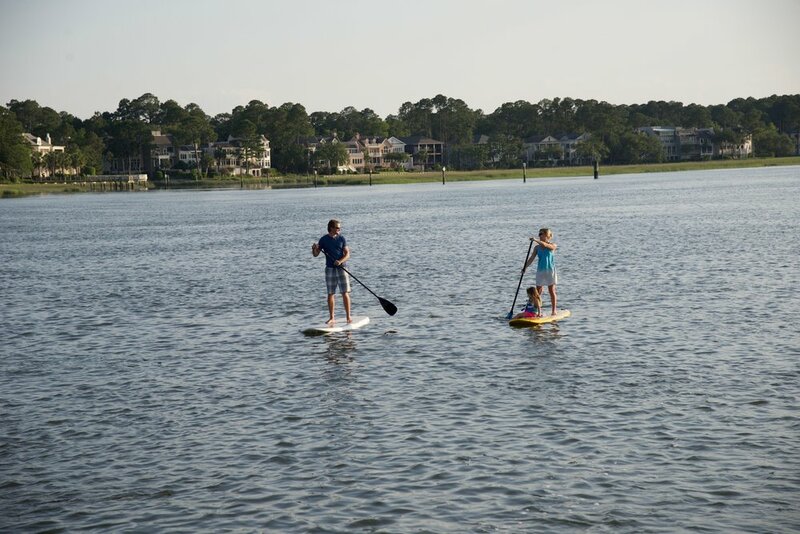 Bring your paddle boarding to the next level, with SUP YOGA! By incorporating your Yoga practice on the water you will build even more balance, coordination and body strength. Through the sensation of floating on the water you will restore all bodily systems, by creating physical, mental and spiritual harmony. The water creates less impact on the joints, helping to alleviate the heaviness that life sometimes throws on our shoulders. SUP Yoga classes are for ALL LEVELS; from beginner to advanced, with certified instructors. Start your day with beautiful Sunrise Yoga class and wind down with a Sunset Floatation; flow and meditation. Which ever you choose expect a feeling of profound peace and serenity!